Celebrating Father's Day - What Tech Gifts you should buy for your Dad? 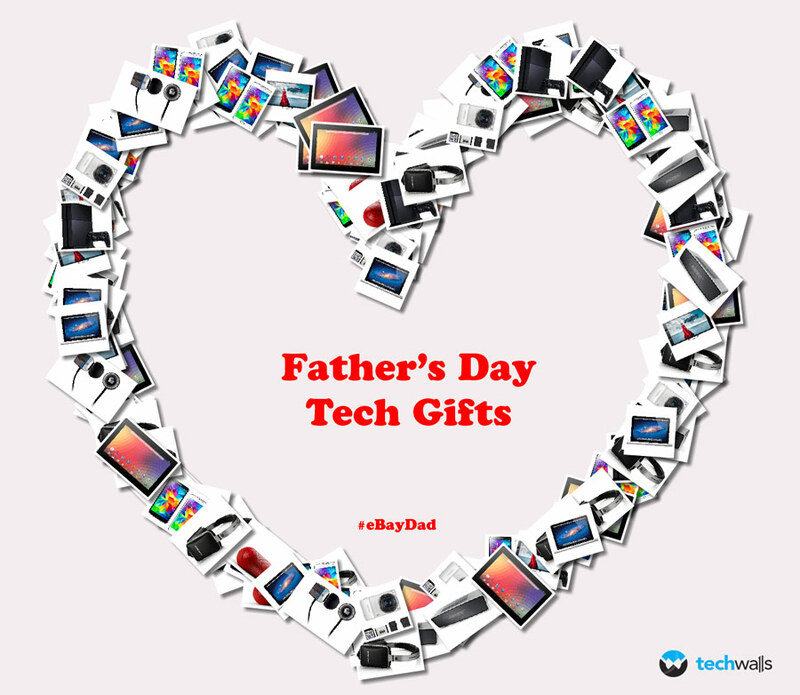 Celebrating Father’s Day – What Tech Gifts you should buy for your Dad? Father’s Day is around the corner and it’s time to prepare gifts for our belove dads. Most people find this a difficult challenge but in my own experience, it is not. I never have to ask myself what I should get for my dad, simply because we spent a lot of time together and I know exactly his habits and hobbies. My dad teaches me all kinds of stuff, from how to ride a bicycle to business lessons that made him successful. Basically, he is my teacher for my whole life and my personality is influenced significantly from him. I hate the things he hates and love what he loves. If you are still not sure what to buy, tech products are always the most desired gifts among dads. From flagship smartphones to a 4K TV, there are always gadgets that can make your father happy. I created a collection of gift ideas for tech-savvy dads, let’s check out what are included in the list. Can you spot my recommendations in the picture above? The first gadget is the new Samsung Galaxy S5, I’m using this phone now and I have no doubt that your dad will love it too. Who can pass a water-resistant smartphone with the highest-quality camera? The next items are a Sony Playstation 4 and an eye-popping 4K TV. Dads always love to spend time together with their kids, why don’t have some fun with the Playstation 4? Some other items in my collection are Google Nexus 10, a Samsung compact camera, a MacBook Pro, a Monster Turbine in-ear headphone, a Bose Soundlink Mini Bluetooth speaker, a Beats Pill and a Harman Kardon wireless headphone. All are great choices that you guys can consider. However, the gifts can’t say it all, make sure to hug your dad and thank him for what he has done, and for always being around when you need. You can also create your own collection and win great prizes. eBay is celebrating Father’s Day and they are running sweepstakes in 2 weeks from May 15 to June 1. Create your #eBayDad collections here for a chance to win one of the two $500 eBay gift cards. Don’t forget to share your collection with us and let us know what you will buy on eBay.